NEW YORK (WABC) -- With the 2017 TCS New York City Marathon quickly approaching, the course found itself one step closer to being ready for race day. 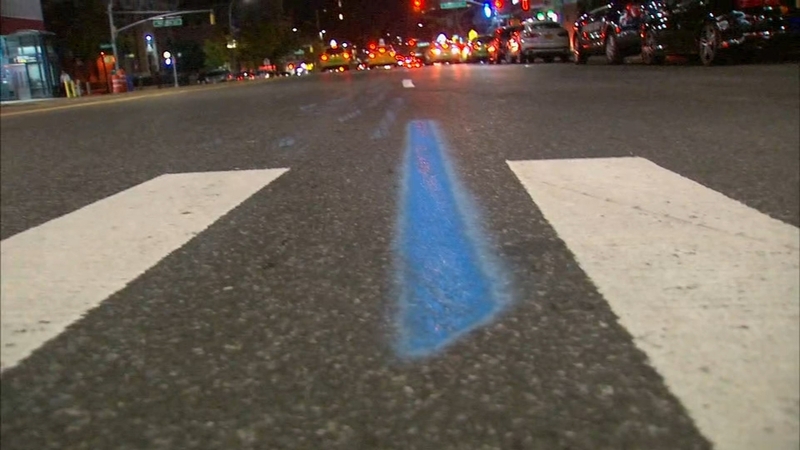 12 miles of blue line were painted on Thursday night in Brooklyn along the portion of the route that runs from the Brooklyn Academy of Music to the Verrazano-Narrows Bridge. The actual painting of the blue line was done with help from the NYC Department of Transportation.